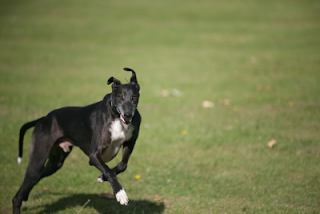 As anyone who reads this blog will know, I love my greyhounds and generally anything that is greyhound related too. 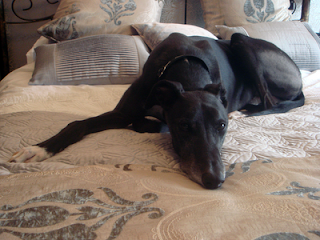 However, there is one greyhound area that really polarises opinion – greyhound racing. I’ve heard all the horror stories and read some of them too in the national press but as with anything in life, I wanted to make my own mind up and see for myself. It’s not often a ‘civvy’ gets to see behind the scenes of greyhound racing however, my university studies presented with me an opportunity to do just that. As part of my degree I have to undertake a good chunk of dog related work experience: 56 hours to be precise. I’d thought quite carefully about what experience I wanted to gain and kept coming back to what had inspired me to pursue a canine career in the first place– greyhounds. It’s fair to say I’ve only really dealt with greyhounds after their racing careers and I have often wondered what has shaped the behaviour of the snoozing hound at my feet. I want to be able to help retired greyhounds adapt to their new lives after their racing careers and felt the only way to do this is to see first-hand how they’re nurtured, raised and trained. Whenever I told anyone that I was planning to do my work experience at racing kennels, I was constantly warned of how “tough and distressing” it would be, how “soul-less” racing kennels were, how I wouldn’t last and how upsetting I would find it. I decided I would make up my own mind and carefully researched greyhound trainers in the area. 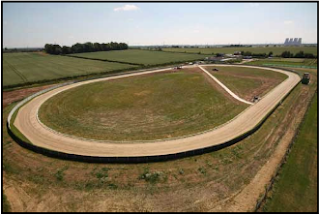 During my research I came across a female trainer, who along with running kennels, runs a schooling facility, with a purpose built schooling track. 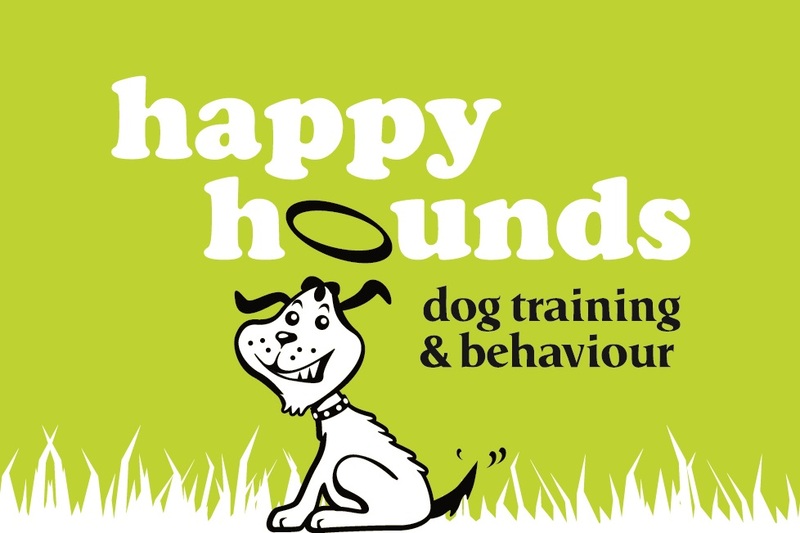 The trainer, Jane Houfton, places great emphasis on the welfare and training of the greyhounds in her care and after an initial meeting in April, my work experience was agreed. Following all the warnings people had given me about racing kennels, I half expected the them to be a mix of Alcatraz meets Colditz – cold, grey and faceless with uncaring staff. Nothing could have been farther from the truth. The Kennels were set up exactly like many boarding kennels although, as the case in the UK, greyhounds are kennelled in pairs. Each kennel consists of an indoor sleeping area, with a raised bed and plenty of bedding, and an outside run. Contrary to popular myth, the greyhounds were not confined to their sleeping areas for 22 hours out of 24. What really struck me was the dedication of the staff and the evident love and affection for the greyhounds in their care. All the hounds received regular, positive human contact and plenty of affection from kennel hands. I didn’t witness any incidents of rough or callous handling – quite the contrary. Cleaning, feeding, caring for and schooling over 100 greyhounds is no mean feat and for someone who’s normally based in an office – like me – it’s hard, physical and demanding work. The greyhounds’ needs are top priority and the first job of the day is letting them out after their night’s sleep and giving them breakfast. So, at 7.30am on a weekday (8am on Saturdays – hounds need a lie-in too) breakfast is served! Breakfast is a blend of dried dog foods (a bit like doggy muesli), which is covered by special milk compound. Working as a team, the kennel hands start with breakfast service. Outside each kennel two bowls are put down, the next person goes down and puts in scoop of the muesli, followed by next person who covers this with the milk. Then we start feeding the hounds. There are three kennel blocks and each block is provided with their breakfast service in turn. The kennels are opened up and dogs are fed on a one in one out basis - one eats in the outside run/paddock area to their kennel and the other in the sleeping area. Once they have all eaten, bowls are cleared and the dogs are let out into their kennel’s paddock area. Then we start over on the next kennel block, and once that’s completed the third and final block. At the same time this is happening, the pups are being fed and taken into the exercise paddocks. Once all the hounds have been fed, it’s poop, scoop and clean on a massive scale! All kennels are cleared of poop and any dirty bedding. This is back-breaking work (and rather smelly too). Unlike the well practised kennel hands, I couldn’t seem to master the art of just being to scoop and flick the poop onto the shovel (well, not unless I wanted to flick it over myself) and had to use a scraper to help. Once all poop had been cleared away, sleeping areas and the outside run were brushed, disinfected and hosed down and beds were topped up with clean, fresh bedding. Once all 60 kennels have been cleaned the humans get a chance for a coffee break and a bite to eat. After coffee break, it’s time to groom the hounds, check their health and weight and give them any treatments. How many pet dog owners can truthfully say they thoroughly check their dogs on a daily basis? At the kennels, every dog is weighed on a daily basis and their weight recorded. 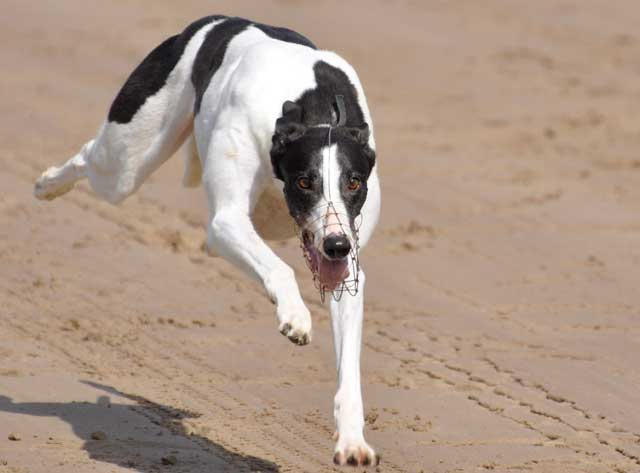 For racing dogs their weight can only vary within 1kg of their last race weight. Dogs are groomed, teeth are brushed and any worming or flea treatments are also given. For any dogs that may have an injury, these are also treated. An ultra sound machine is used on any sore muscles (I tried it too and it really helped my back) and for any hounds that may have a cut or laceration there is an amazing laser machine which helps to promote healing. During this time, many of the dogs are also exercised in the grassed paddock areas. Once treatments have been completed it’s soon time for lunch – but this time the humans get to eat before the hounds! Once the human lunch break is over, it’s time for the hounds’ lunchtime service. The food is weighed according to individual dog’s needs and put into a bowl with the dog’s name on it and the feeding routine begins again. 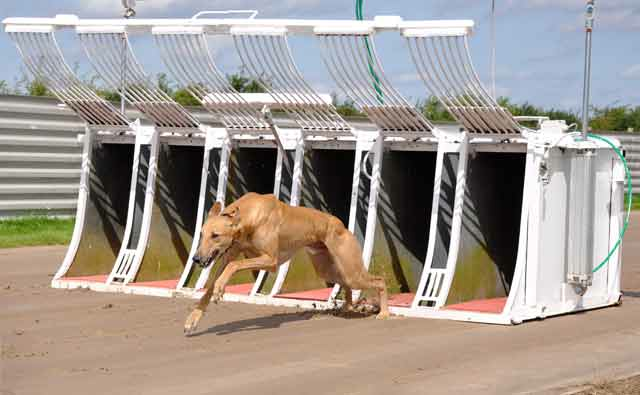 Each dog is fed a specific amount depending on a combination of their weight, age, whether they’re racing or retired and their specific nutritional needs. After lunch, poop scooping takes place again and the hounds are free to run in their outside run/paddock areas. Over a weekend many racing owners come and visit their dog(s), bringing them treats and taking them out for walks. 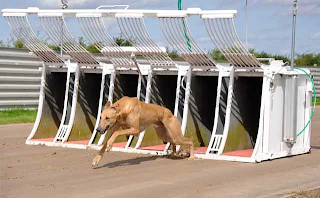 Owners are actively encouraged to come and visit their dogs and I met several, very dedicated owners who religiously visit their dogs on Saturdays and Sundays and, when their racing careers are over, take them home with them to live out their retirement on a sofa. I realise I’ve only had a snapshot of what life is like for a greyhound in a racing kennel but I have to say, although it challenges my perceptions of the life my pet ex-racing greyhounds have, it is a different life but not necessarily a bad one. So, is life in a racing kennel bleak? In my opinion – no. Yes, it is different to that of many pet dogs (my own hounds included) but contrast it to the millions of pet dogs that are left alone at home for hours at a time whilst their owner goes to work, with no-one or anything for company; or the working dogs that are kept in outside kennels and not allowed in the home; or even the breeds that struggle to adapt to modern family life as it’s not what they’ve been bred for. Which dog has the better life? In my next blog post I’m going to look at how the greyhounds are schooled and trained for racing and my final post in this series will look at what happens behind the scenes at a greyhound track. I hope that by sharing my experience it will provide a balanced view of such an emotive subject. Please do feel free to comment and share your views*...I look forward to reading them.